Der Leiermann Musical Sample (audio not available at this time). To purchase these arrangement go to my Store. 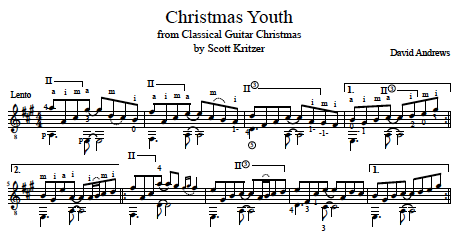 This entry was posted in Kritzer Studio News, Practicing the Classical Guitar and tagged Christmas, Classical Guitar arrangements, scott kritzer. Bookmark the permalink.